In a study with 10 experienced cannabis smokers moderate cannabis use reversed some of the negative consequences of night shift work on performance, scientists of Columbia University in New York, USA, found. They participated in a 23-day study. They smoked a single cannabis cigarette (0, 1.9 or 3.56% THC) one hour after waking for three consecutive days under two shift conditions: day shift and night shift. Shifts alternated three times during the study, and shift conditions were separated by an 'off' day. Keith DR, Gunderson EW, Haney M, Foltin RW, Hart CL. Smoked marijuana attenuates performance and mood disruptions during simulated night shift work. Drug Alcohol Depend. 2017;178:534-543. The use of cannabis may be helpful in the treatment of restless legs syndrome according to a report on six patients by scientists of the University of Bordeaux and other French institutions. Usually symptoms respond well to dopamine agonists, opiates, or anticonvulsants, used either alone or in combination. However, a subset of patients remains refractory to medical therapy or experience serious side effects. 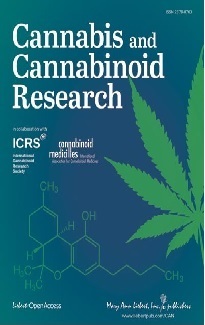 Megelin T, Ghorayeb I. Cannabis for restless legs syndrome: a report of six patients. Sleep Medicine 2017;36:182-3. Pharmacies in Uruguay began selling cannabis directly to consumers on 19 July. The South American country of 3.4 million people is the first in the world to legalize the entire process of cannabis production for recreational use, including its cultivation and sale. Reuters of 19 July 2017. La Nacion of 17 July 2017. Cannabidiol was able to improve symptoms in a patient with amyotrophic lateral sclerosis according to an article by an Austrian scientist. He wrote that “about eighteen months ago, the patient, a general practitioner at the beginning of his sixties, observed a painless weakness and impaired function of his right hand.” Despite of treatment with riluzole, symptoms progressed relatively fast. Therefore, the patient decided to take cannabidiol (CBD, 2 × 200 mg/day) as co-medication and increased to a daily dose of 2 × 300 mg. The author wrote, “Within 6 weeks, the impaired function of the right hand and foot reversed almost completely and dysphagia [impaired food intake] partially. Improvement was maintained for about 10 weeks, when again a slow progression” of symptoms was observed. 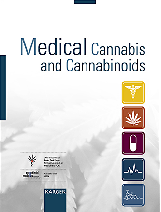 Nahler J. Co-medication with cannabidiol may slow down the progression of motor neuron disease: a case report. Gen Pract (Los Angel) 2017;5:4. In recent years, the Swiss Federal Office of Public Health granted exceptional licenses for the medical use of cannabinoids. During 2013, 542 patients were treated under the exceptional licencing programme (332 requesting physicians) compared with 825 in 2014 (446 physicians). The mean age was 57 years. Chronic pain (49%) and spasticity (40%) were the most common symptoms. Kilcher G, et al. Swiss Med Wkly. 2017;147:w14463. States that allow medical or recreational cannabis use often allow retail sales at dispensaries. Scientists analyzed the short-term mass closing of hundreds of medical cannabis dispensaries in Los Angeles. They found an immediate increase in crime around dispensaries ordered to close relative to those allowed to remain open. Changa TY, Jacobson M. J Urban Econ 2017;100:120-36. In a study with mice activation of the CB2 receptor modulated the neuroinflammatory and cognitive impairment after surgery. Zhongnan Hospital of Wuhan University, China. Sun L, et al. J Neuroinflammation. 2017;14(1):138. Mice without CB2 receptors developed Alzheimer-like changes in the brain. Authors noted that the CB2 receptor may be a promising target for the treatment of Alzheimer´s disease. after traumatic spinal cord injury. This effect involved the activation of the CB2 receptor. Xijing Hospital, Fourth Military Medical University, Xi'an, China. In two animal models of gastric ulcer activation of the CB2 receptor by a synthetic cannabinoid (A836339) reduced the activity of mediators of inflammation (TNF-alpha and interleukin 1-beta) in gastric tissue and improved recovery from the ulcer. Faculty of Medicine, Medical University of Lodz, Poland. Pharmacology & Physiology, Georgetown University, Washington, USA. In a mouse model of Parkinson's disease pre-treatment with beta-caryophyllene, which activates the CB2 receptor, ameliorated motor dysfunction, protected nerve cells and reduced the levels of mediators of inflammation. Departamento de Farmacobiología CUCEI, Universidad de Guadalajara, Mexico. Viveros-Paredes JM, et al.Pharmaceuticals (Basel). 2017;10(3). In a study with rats self-administration of THC by injections was low (compared with cocaine) and only observed in a few animals. When CBD was added to THC this had no effect on self-administration. Center for Behavioral Neuroscience, American University, Washington, USA. In a study with rats CBD (cannabidiol) influenced different dimensions of the response of rats to a surgical incision. Authors concluded that CBD may have the potential for treating the affective-motivational dimension of pain.